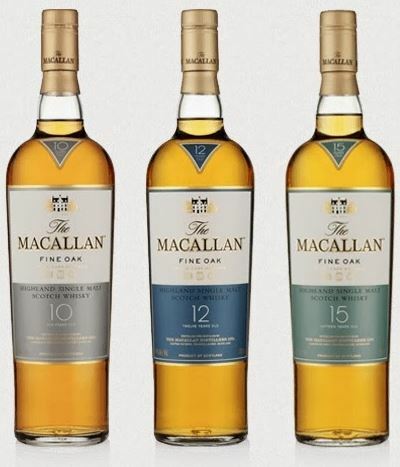 The Macallan presents two new expressions to the SA market, Fine Oak 12 and 18, and brings back a favourite; Fine Oak 15. The Macallan, one of the world’s greatest single malt whiskies, will be launching the triple cask matured Fine Oak Range in SA. A firm favourite: Fine Oak 15 will be re-introduced, and two new expressions will also be rolled out over the coming months, Fine Oak 12 and the 18. The Fine Oak range is triple cask matured in a combination of European oak sherry casks, American oak sherry seasoned casks and American bourbon casks, delivering a more diverse yet subtle style of whisky, whilst maintaining The Macallan’s core DNA which is a focus on sherry seasoned oak casks, natural colour, and rich, fruity full bodied flavours and mouth feel. The Fine Oak range will sit alongside The Macallan 1824 Masters Series which is available in SA, including Rare Cask, Reflexion, No.6 and M, – which now offers The Macallan fan a wider choice of whiskies from the portfolio. What makes the Fine Oak Range exceptional? The American oak casks are crafted from timber sourced in the woodlands of Ohio, Tennessee and Missouri and are logged by third generation woodsmen, who are personally selected by The Macallan’s own Master of Wood. Some of these casks will mature bourbon in humid Kentucky warehouses for three years before the long journey to Scotland whilst others will be transported to Jerez, in Spain, to be filled with sherry. The addition of American oak bourbon seasoned barrels imparts aromas and flavours slightly drier and more oaky than the American oak sherry casks, with more pronounced aromas and flavours of coconut, but still with the lighter colour and sweetness associated with American oak. The European oak sherry casks begin life in the dense, sustainable forests of Northern Spain and each cask is handcrafted in the cooperages of Jerez where they are fired to ensure the spirit penetrates deep into the wood. These casks will then be seasoned with sherry for a minimum of two years before being transported to The Macallan Distillery in Speyside for filling with new make spirit. The Six Pillars are the foundation stones for the fame and character of The Macallan. They encompass the strong sense of place at the heart of the distillery and the estate, together with their long experience of distilling and maturing a single malt whisky with a reputation for product excellence and distinctive character. These, in combination, contribute to the essential character of The Macallan. Spiritual Home; Easter Elchies House, built in 1700, lies at the heart of The Macallan estate in an area of great natural beauty and is farmed sensitively, in harmony with the environment. The estate covers 390 acres (158 hectares), of which some 90 acres are sown in the spring with our own exclusive barley variety (Minstrel) to make The Macallan. A single acre will produce nearly two and a half tons of barley, which will yield around 1,800 bottles of The Macallan. Curiously Small Stills; The Macallan’s curiously small spirit stills are the smallest on Speyside. Their unique size and shape give the spirit maximum contact with the copper, helping to concentrate the ‘new make’ spirit and provide those rich, fruity, full-bodied flavours so characteristic of The Macallan. There are fourteen of these curiously small stills, crafted from copper, each holding an initial ‘charge’ of 3,900 litres. Finest Cut; The Macallan takes only 16% of the final distillation from the spirit stills to fill into their oak casks. This is the best of the best and one of the smallest in the industry. The Macallan itself; From humble beginnings in 1824, The Macallan has grown from a small local enterprise to global recognition, based on a constant and determined attention to quality – one of the world’s greatest whiskies.